Iranian art | Greg C. Brown & Associates, Inc. 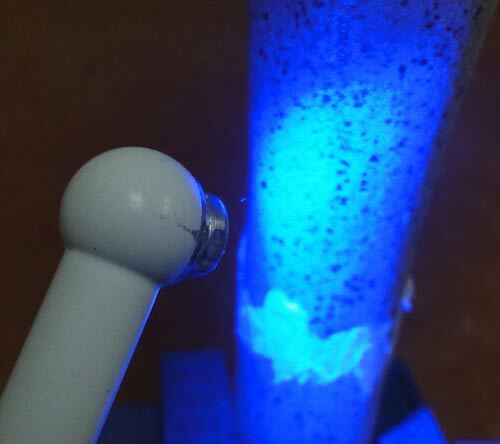 If you have an interest in detecting fake art and antiques, go to Black Light World! I am not one to promote other companies and people very often. However, I have found a company with total integrity, who only sell the real and proper black lights for working with fakes and counterfeits. Their prices are fair, they have excellent knowledge and their products are not flimsy cheap pieces, they are good quality. Please feel free to visit their site, and even let them know you found out about them here at my blog. The owner is a genuine and good person to boot: http://www.blacklightworld.com/Contact.htm. The photo below comes from the website, http://www.lakesidepottery.com/Pages/Repairing-restoring-ceramic-porcelain-china-pottery-lessons-tutorials.html. Tagged AAA, African ivory, Alaska, appraisals, ASA, Asian ivory, Black lights, black lights for fakes, Buddhist Sculpture Appraisal Guanyin Guan Yin Kuanyin Buddha value, Chinese, Chinese antiques, Chinese art, Chinese artifacts, Chinese Porcelain, detecting fakes, detecting forgeries, expert, fossil, high-end, huge money, ivory rules, Japanese, Mayan, Minneapolis Institute of Arts, Processional Appraisers, professional appraisal, The Amazing Terracotta Warriors Exhibition at the MIA., the best, Tibetan, valuation, Valuations, value, values, Why Credential Professional Appraisers should be used! 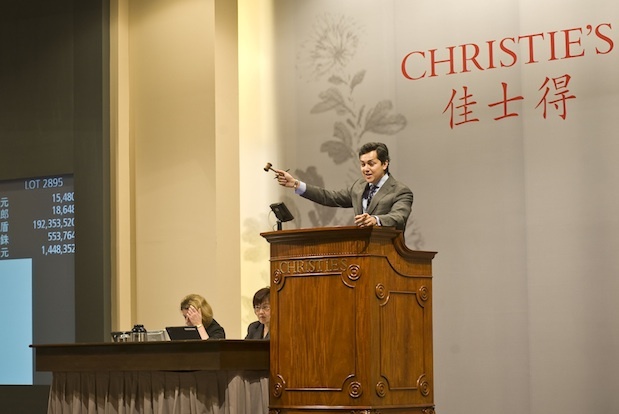 Christies to operate independently in China! Amazing! The image below come directly from this article. Sincerely, Greg C. Brown, MS, ISA. Appraisals, Brokering, Buying and Consulting, Fine Art and Antiques, Specializing in Asian Art and Antiques, Fine Art Prints, Fossils, and other Fine Personal Property. Tagged AAA, African ivory, Alaska, appraisals, ASA, Asian ivory, Buddhist Sculpture Appraisal Guanyin Guan Yin Kuanyin Buddha value, Chinese, Chinese antiques, Chinese art, Chinese artifacts, Chinese Porcelain, expert, fossilized ivory, high-end, huge money, Inc., ISA, Ivory Appraisals, Japanese, Minneapolis Institute of Arts, Processional Appraisers, professional appraisal, Qin Dynasty, rare, Sino-Tibetan, Terra-cotta, Terracotta, Terracotta Warriors, The Amazing Terracotta Warriors Exhibition at the MIA., the best, Tibetan, valuation, Valuations, value, values, Why Credential Professional Appraisers should be used! Coaching on being wary of even “major players” in the fine art and antique market. “There are only four thousand Picasso etchings, and over seven thousand of them are in the United States”. Hahaha, I love that quote, which I picked out of a good short article which was presented to me in LinkedIn and come from the Art, Antiques and Luxury Design Blog. This article is a great teaching tool to new collectors on the subject of “Trust” in the fine arts and antiques buying world. Again, and I will talk about this over and over and over, provenance, trust and caution are critical, and the above quote and this article brings that home. I think that the quote would be more accurate if it said, “There are only four thousand Picasso etchings, and over thirty thousand of them are in the United States”. There are more fakes than real ones, I have no doubt about that. It also brings home the fact that just because an art or antique dealer “says it’s so” does not “make it so”, without proof that “it is so”, so ask for proof or hire someone like me to check it out for you before you buy. If they can not prove it, or we believe it is questionable, do not buy it, regardless of what your emotions want to do. There is always another cool thing just around the corner. Also, because the dealer is a “major player” or “well-known,” does not necessarily mean they are actually good at what they do or can be trusted, often ego and narcissism are involved, so “buyer beware” is THE RULE! Someone who tells you that they are not sure and/or need to look into various aspects and get back to you about it is far more trustworthy than someone who always knows every answer. Just ask yourself this, do you know everything about your highest expertise in your life, let alone all of your interests? If you do, you are a rare bird and congratulations! If you are in an art gallery that only sells Picasso works, they may indeed know almost everything about Picasso and his works, if you are not in such a specialty gallery, then you must be your best advocate with your money until you have the proof, then you can let your guard down. I was just told a story 3 days ago about a situation where one of the wealthiest families in the US/world found they had been duped into thinking that they were buying monolithic antique Chinese ivory tiled statues. They had surely spent several hundred thousand dollars on them. When they later had them appraised, they were shocked and embarrassed to find out that they had been sold fakes made in the 1990’s! These statues still had value, about $10,000 each, but not hundreds-of-thousands! Ouch! So, wealth is not a barrier against being ripped off either. You must check your ego at the door when buying, and expect that you are being set up – period! The lesson from this, which I have previously written about, is that once you have found something you love, it is well worth paying a professional like me to pre-examine them before you buy. In this family’s case it would have been more than well worth flying me to China, if that is where they were purchased (I do not know that part of the story), let alone to another state, let alone to another city, etc., which costs are small compared to the loss due to fraud. Caution is the better part of valor (desire) in the fine art and antiques world. We (experts) are well worth the cost versus savings, and we might instead even help you find a real find for a really great price too. Remember this, despite it being a sad fact, over 95% of all art and antique “dealers” are dishonest to one degree or another. Yes really! Let me state that again, over 95% of all art and antiques dealers are dishonest to one degree or another! Sometimes it is a small “addition” to the facts to try to “entice” you into being excited into buying, some times it is out right fraud. But what is the difference either way if you get ripped off? For me, the point is, even a little lie makes one dishonest forever, and it is unfortunately all too true that this behavior is rampant in this industry, which is very dangerous for a trusting new collector. Once a dealer has done it once with positive effect for their increase in sales, it has only one way to snowball, the wrong way. Yes, really, 95% – or more! And preaching that they did not know, or that the person who they acquired the piece from said so is not an acceptable excuse, unless they genuinely apologize, are curious about their error and what was found, do not put the piece back out for sale with the same information(let alone excluding the new information you bring to them) and most importantly pay you back in full, which may or may not include shipping costs. If they do this, I would still trust them, otherwise, do not! I had a very rare policy in the antiques industry for my old fine Asian art and antiques gallery, which was, if you could show me through an authority’s statement what I missed or why I was wrong about one of my descriptions/dating/etc., I would buy the piece back, with no expiration date, as long as I was still running the gallery. I never had a piece returned, because I up held my end of the bargain in being a dealer because I had done my work on each piece before I would put it on the floor for sale. I continue to be shocked when I go into art and antique galleries by the huge number of terribly misidentified items, materials, dates, locations, etc. It is the dealers job to know, that is really what you are paying them for, to know the difference so you can be sure of what you are buying from them for your good money, right? Right! If their policy is “all sales are final”, then you can ask them to modify that policy and put it in writing on the receipt, it must be in writing! If they will not, then you can bet they do not know their business. The reverse of this is that they might miss something valuable, and you may come across a great find cheap! It does go both ways if you know more than they do. The lesson a beginner needs to get, be smart, do not fall for the sexiness of what you are being told and look for red flags! Make sure all aspects can be backed up including the medium things are made in/what they are made of and what the provenance is! Before buying expensive pieces, have them put those facts in writing. If they don’t, be careful! Legit dealers have true confidence in what they are selling and have no problems putting it in writing. To be successful as a real collector, you must deal with caution with everyone in the art and antiques industry at every level until you have a long and very well established relationship that is built on results, which then produces trust. This is exemplified in this story. The other important thing to understand is the wise old statement that “extraordinary claims, require extraordinary proof.” In the case in this article, the story falls apart very quickly, as there was no provenance and the “dealer” could not even properly identify the medium used to create the work! This is like having an aircraft carrier sized red flag being waved right in front of your face – “BUYER DO NOT TRUST THIS LISTING!” So, have a nice read, the article can be found at: http://art-antiques-design.com/2013/03/25/educating-art-buyers-part-2-by-lawrence-klepper/?goback=%2Egde_153474_member_226094189. The image below is from http://www.rottingtelevision.com/lmfao-big-red-flags-blog/. Which are you looking at? The sexiness “of the piece” or the red flag? Final question, which is going to win, your emotions or your intellect? It is your choice, choose wisely! And, do not be afraid or embarrassed to ask for help! We may save you thousands, hundreds-of-thousands or even millions of dollars! Well worth our costs. Greg C. Brown, MS, ISA. Tagged AAA, African ivory, Alaska, appraisals, ASA, Asian ivory, Buddhist Sculpture Appraisal Guanyin Guan Yin Kuanyin Buddha value, Casablanca, Chinese, Chinese antiques, Chinese art, Chinese artifacts, Chinese Porcelain, Dooms Day, expert, fossilized ivory, high-end, huge money, Inc., ISA, ivory rules, Japanese, Mayan, Minneapolis Institute of Arts, Processional Appraisers, professional appraisal, Qin Dynasty, rare, Sino-Tibetan, Terra-cotta, Terracotta, Terracotta Warriors, The Amazing Terracotta Warriors Exhibition at the MIA., the best, Tibetan, valuation, Valuations, value, values, Warrior, Why Credential Professional Appraisers should be used! The actual violin played on the Titanic and a great lesson about authenticity and value. Here is a really cool article from the BBC about probably the single most iconic possible item from the wreck of the RMS Titanic! WOW! 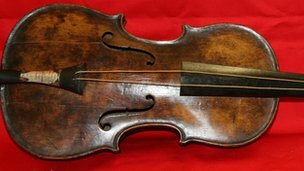 I was very proud to have had a small roll in the U.S. Federal Court case for the Titanic artifacts that have been recovered from the ship on the sea bed, but never knew anything about this violin. The image below, from this BBC article, is the violin that was being played while the RMS Titanic went down! Yes, really! However, for this blog the important part is how they figured it out and how long it took to do so, and in the end, why – the ultimate value, expected to be in the six figure range! Therefore, this article allows me an excellent opportunity for coaching about authentication and appraising. I would like to convey to people in need of, or interested in the appraisal and authentication process that you need to allow us to do our job for you completely and this article about the violin proves this very well, although in the most extreme of cases. Remember that with extraordinary claims comes the need for extraordinary proof! The best, and most efficient way for us to help you is when you have excellent provenance. However, most things lack this one critical aspect, which leaves it to us and other experts to show why an item would deserve a high value. The violin’s owner got this, and it has paid off! The other point is, do not make an extraordinary claim, and then not allow us to find extraordinary proof to back it up, because the normal human reaction is that you do not believe it! What I find all too often is that most people want to skip this necessary step and not allow us to do our research properly for the client, they just want a very high value, but that is not how it works. However, if you truly believe you have something of significant value, then you need to understand that we must determine values based on what we can establish through the research we are allowed to do by the client. The more restrictions the client puts on the work they want us to do, and thus the less research, then due to limiting conditions, generally the lower the value that will necessarily be produced, because we are not able to establish what is necessary to show the highest possible value. Tagged AAA, appraisals, ASA, Asian ivory, Buddhist Sculpture Appraisal Guanyin Guan Yin Kuanyin Buddha value, Chinese, Chinese antiques, Chinese art, Chinese artifacts, Chinese Porcelain, expert, fossil, high-end, huge money, Inc., ISA, Ivory Appraisals, Japanese, Minneapolis Institute of Arts, Processional Appraisers, professional appraisal, Sino-Tibetan, the best, Tibetan, valuation, Valuations, value, values, Why Credential Professional Appraisers should be used! 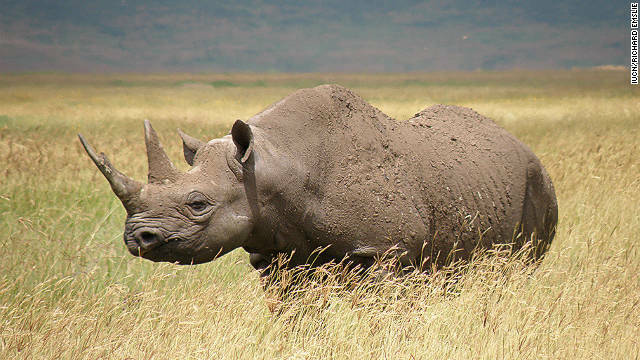 BBC News story about the crisis occurring in the illegal trade of animal parts. Tagged AAA, African ivory, ASA, Asian ivory, Chinese, Chinese antiques, Chinese art, Chinese artifacts, expert, fossil, fossilized ivory, high-end, huge money, Inc., ISA, Ivory Appraisals, ivory rules, Japanese, valuation, Valuations, value, Why Credential Professional Appraisers should be used!